From Silverton, we traveled over the 11,018-foot Red Mountain Pass and then descended into the self-proclaimed “Switzerland of America”, Ouray, Colorado. Like Durango and Silverton, Ouray began life as a nineteenth century mining town. 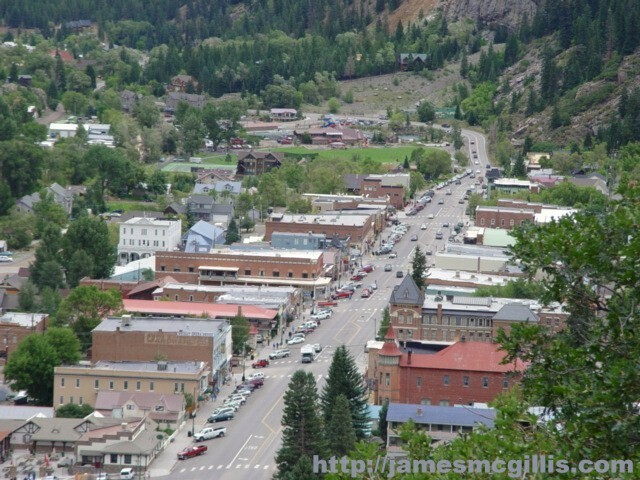 Situated in a deep canyon and surrounded by high mountain peaks, Ouray is both quaint and vulnerable. If the ten-thousand-year-storm ever visits the headwaters of the Uncompahgre River, much of the town could be vulnerable to flooding. In 1965, we stopped for lunch at the Beaumont Hotel, an historic Queen Anne structure that dominates the downtown skyline. We found the hotel and its ground floor restaurant in near-original condition. 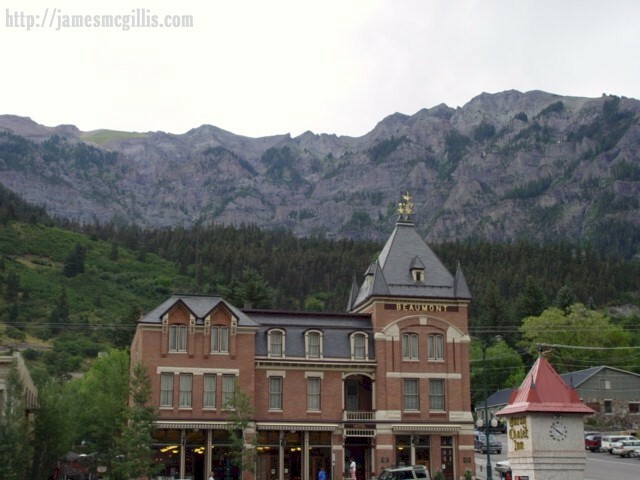 Years earlier, my grandfather had told me that Ouray was his favorite place in the U.S. As I stood on the shaded porch of the old Beaumont Hotel, looking at forested peaks all around, I could understand why. At one time, a mining and supply railroad connected Ouray with Ridgway, Colorado and beyond. Today, the only reminders of Ouray’s railroad heritage are an old locomotive and some rolling stock on static display in Ridgway, near the junction of Highways 550 and 62. 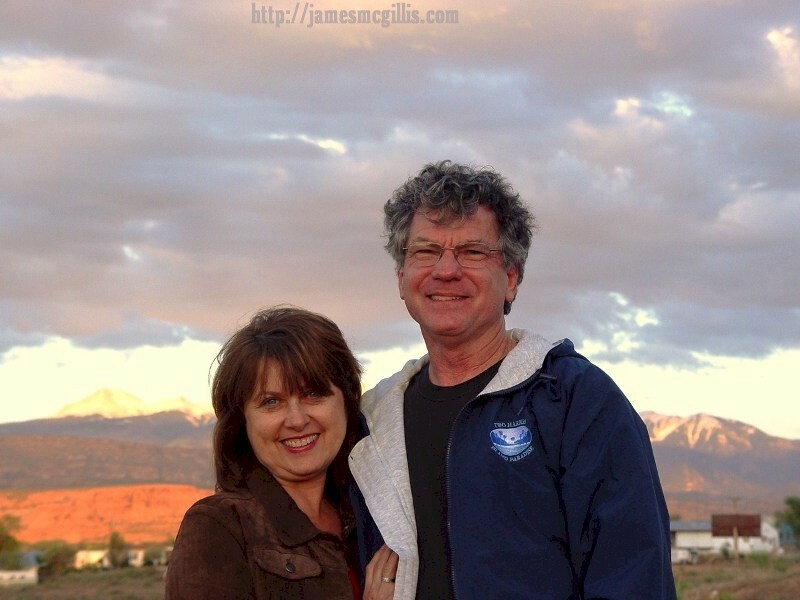 From Ridgway, we traveled west on Highway 62 toward Southeastern Utah. Although the highway numbers changed several times, the roadway itself followed one of the oldest trails in Western America, known during its heyday in the 1830s as the Spanish Trail. Linguistic historians believe that variations on the Central Mexican Aztec language made their way north to California and then east to the Four Corners via a prehistoric version of that trail. During the decade before the 1846 Mexican War, trade between Santa Fe, New Mexico and Los Angeles, California followed this route. A more direct route through contemporary southern New Mexico and Arizona awaited the cession of Mexican territory, as provided by the 1948 Treaty of Guadalupe Hidalgo. Today, Interstate I-10 closely follows that shorter route. 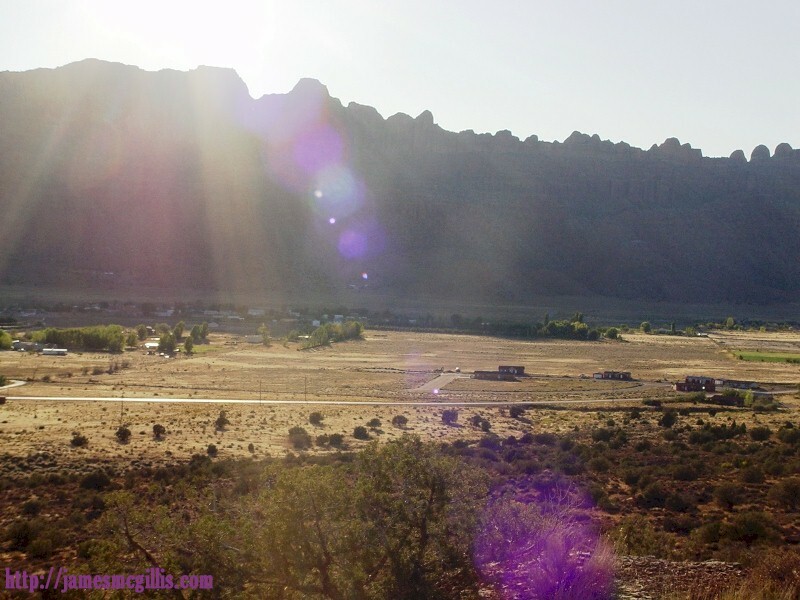 Although what we now call the Old Spanish Trail had many alternate routes, our journey through Durango, Silverton, Ridgway and on to Moab, Utah followed the trail’s main branch. After crossing the Colorado River near current-day Moab, the old trail then roughly paralleled the route of current Interstate I-70 West and I-15 South. Less than sixty years after the U.S. Declaration of Independence, the first Anglo-Americans traveled overland by horse drawn wagon on the Old Spanish Trail. During the earlier Spanish Mission Era, disease and cultural upheaval had decimated the native Gabrielino Indian populations near Los Angeles. Finding an under-populated and verdant valley, fed by seasonal mountain streams, the Americans stopped east of Los Angeles, founding several towns. The 1826, mountain man and explorer, Jedediah Smith pioneered the Mojave branch of the Old Spanish Trail. Crossing the Colorado River near our own desert portal at Needles, California, he traveled west and then north from there. He was the first Anglo-American to explore California’s Central Valley and Southern Oregon. The Oregon Trail and its sub-branch, the Mormon Trail each receive more historical attention than does the Old Spanish Trail. As a lifelong Californian, it amazes me that the Old Spanish Trail remained unmentioned during my public school education. The Old Spanish Trail, with its prehistoric, Native American roots, and its status as the first wagon road to the Pacific Ocean remains an historical obscurity. In 1855, eight years after founding Salt Lake City, Utah, Mormons settled in the Spanish Valley. 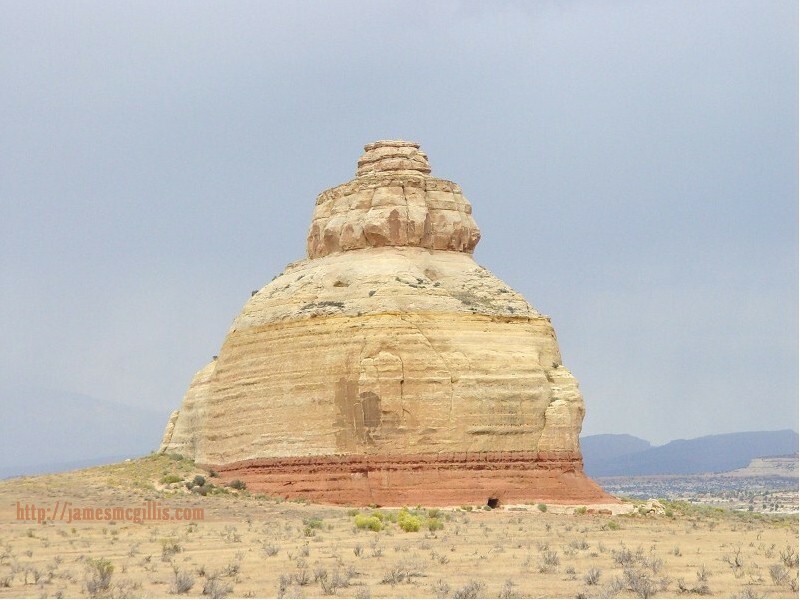 Selecting the biblical name “Moab” for their settlement, the party of forty-three men built a rock fort near the Colorado River. Growing crops and attempting to convert local Native Americans to their religion became the Mormons’ primary challenges. Additionally, they sought control of the strategic river crossing along what had only recently become the “Old” Spanish Trail. Several months after their arrival, Native Americans attacked the Moabites, burning crops and killing three settlers. The Mormons then abandoned Moab, not to officially return until 1878. 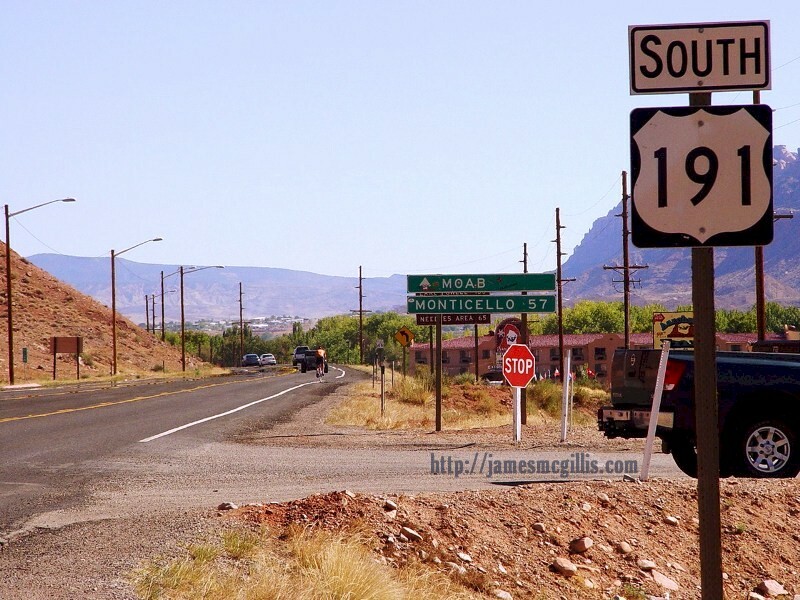 With its cultural affinity and geographical proximity to Colorado and Arizona, Moab grew into the twentieth century more as a typical Western town than as a Mormon colony. By 1965, the great uranium boom of the late 1950’s had played out and unglamorous potash became Moab’s main source of mineral income. 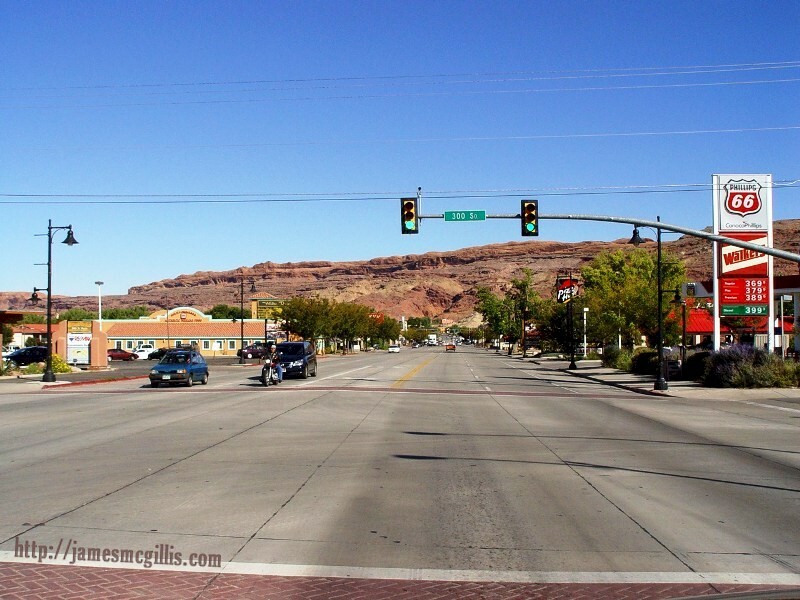 During the late 1950s and early 1960s, Moab had been a uranium boom town, quickly adding residential, commercial and lodging facilities. 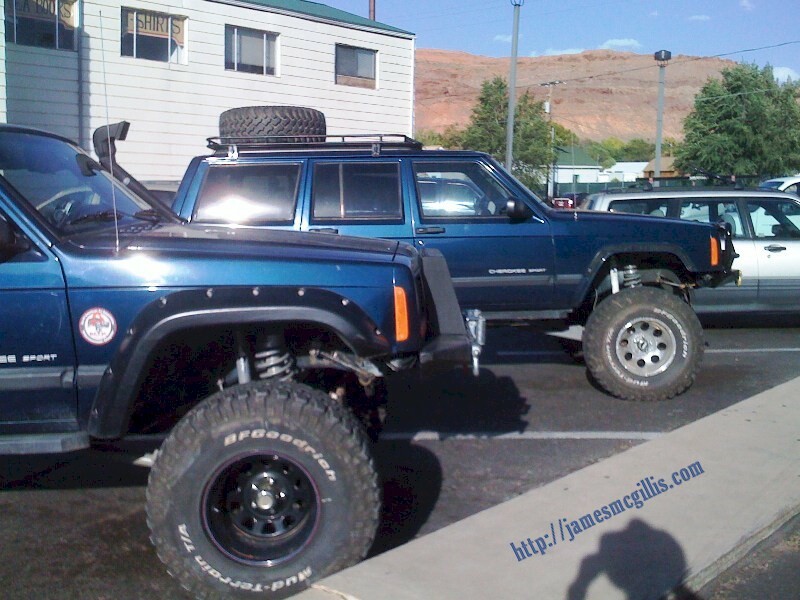 Even today, much of Moab’s infrastructure and its overall look date back to that time.